...... designs. 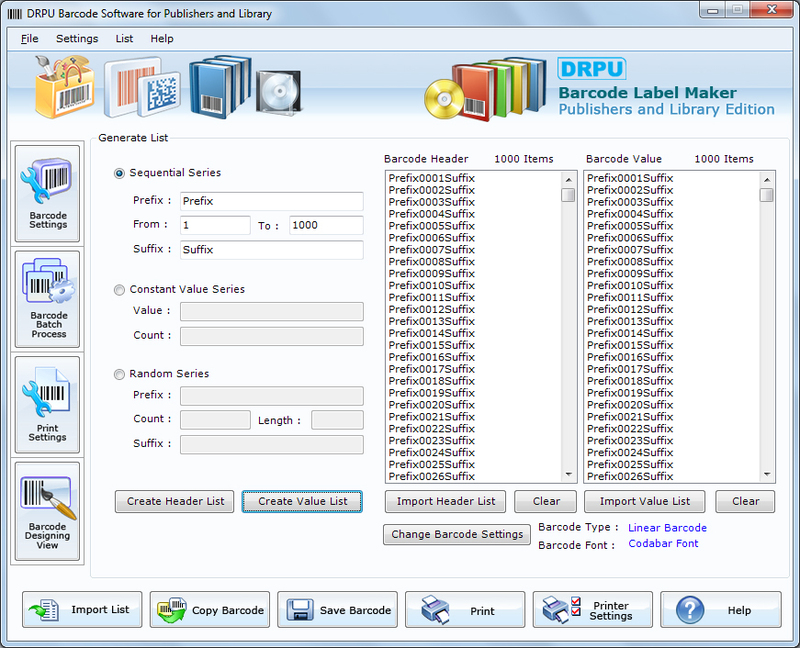 Efficient Publishers Barcode designer software easily edits existing barcode labels. Custom Barcode software for Publishers generates barcode designs for publication Industry to automate book detail entry process. Professional Barcode designer software provides attractive and interactive GUI for Windows users to help end user in designing barcode stickers. Qweas is providing links to Publisher and Library Barcode Label Creator 7.3.0.1 as a courtesy, and makes no representations regarding Publisher and Library Barcode Label Creator or any other applications or any information related thereto. Any questions, complaints or claims regarding this application Publisher and Library Barcode Label Creator 7.3.0.1 must be directed to the appropriate software vendor. You may click the publisher link of Publisher and Library Barcode Label Creator on the top of this page to get more details about the vendor.